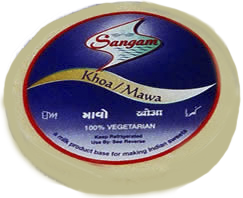 Khoa / Mawa is a semi solid milk made by evaporating the milk and then solidifying with a surface scrapper. It is used in making a wide variety of Indian sweet dishes, desserts and is also used in some Indian curried dishes. It is available in vacuum packed variable weights, packed in 2kg boxes.